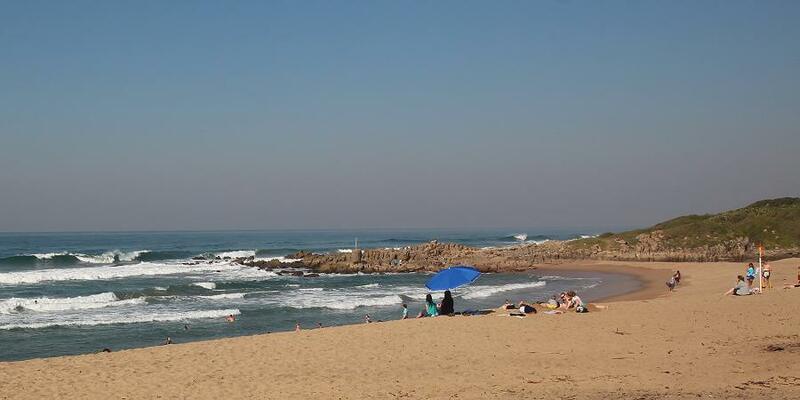 Hibberdene’s main beach seems designed for sun-bathing & relaxing, as well as a safe. 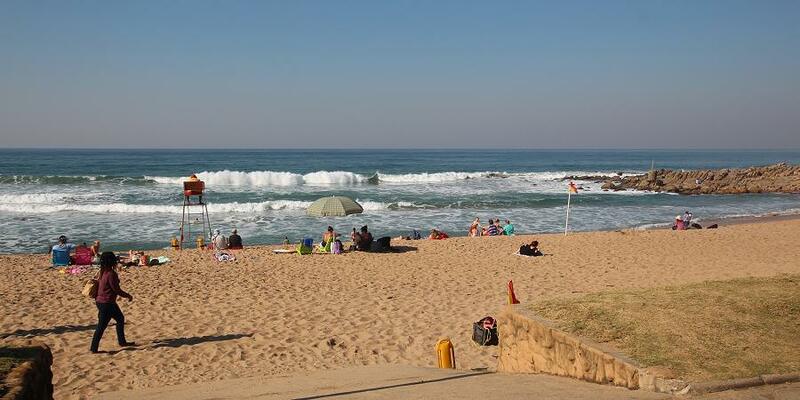 Main Beach Lifesavers patrol and control the beach. 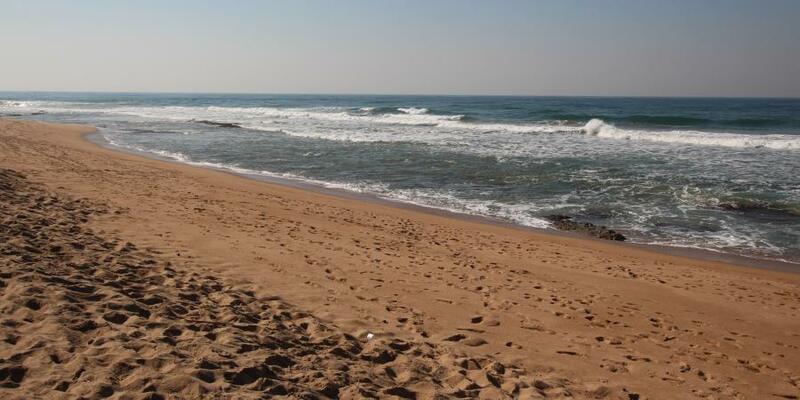 The beach ablutions are clean and tidy. During season, there is usually someone manning the beach kiosk for that snack or cold drink. 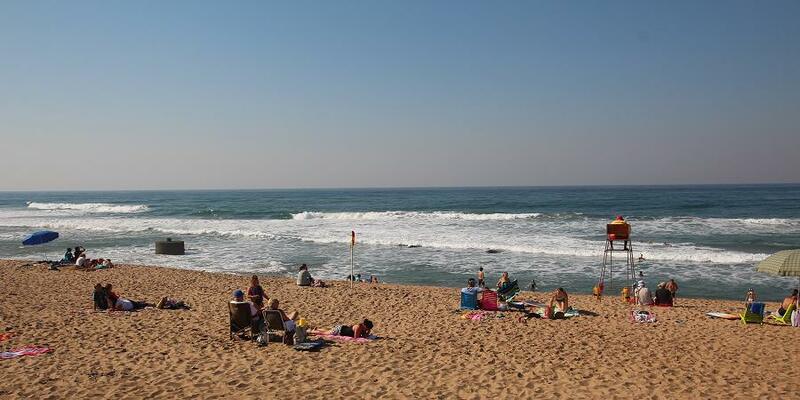 The beach is a stone’s throw from shops and refreshments. The wide stretch of shoreline offers interesting rock pools. 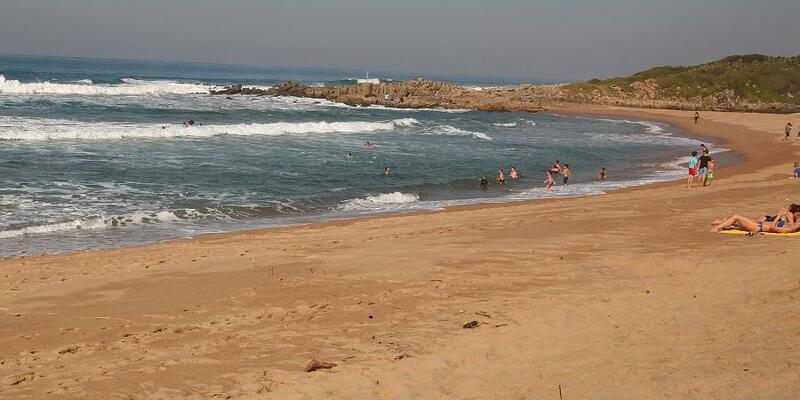 The beach is next to the estuary of the river that provides an ideal stretch of water for the kids to paddle upstream on. 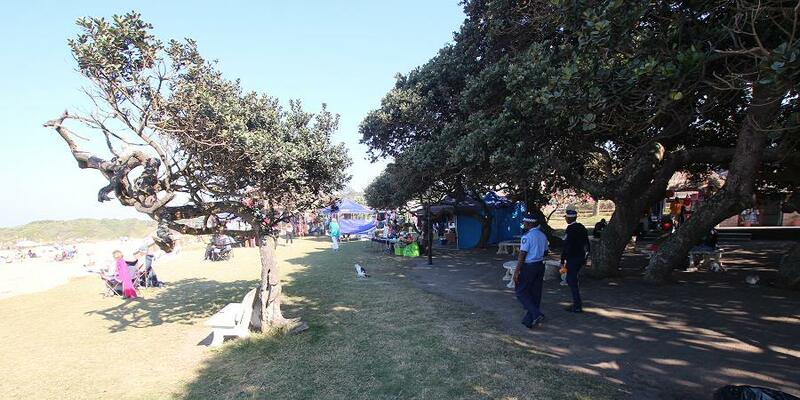 The main beach at Hibberdene is not the only one, popular though it is. 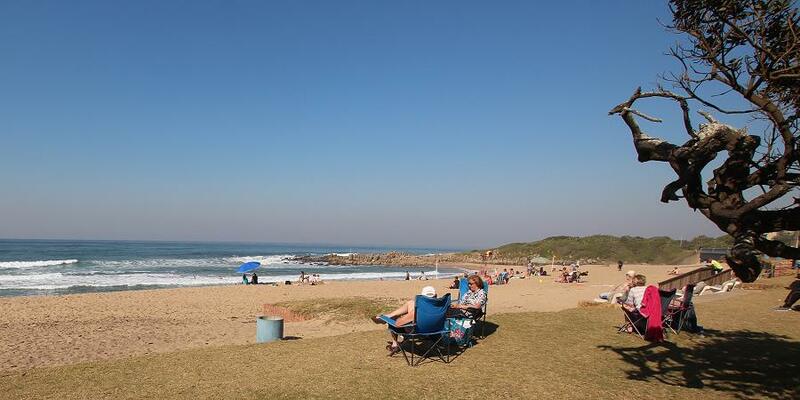 Hibberdene Beach has pilot Blue Flag Status and provides delightful shaded family picnic spots. History: The rapidly-extending South Coast Railway first passed through here in 1901, but the embryonic village was without a name until a decade later, when retired Postmaster-General of Natal, Mr Maxwell Hibberd, bought a farm here. A trading store and hotel followed soon after… and another holiday resort was born.